Gambling has come a long way. It is thought to have originated around 3000 BC at the same time as the invention of the six-sided dice. Fast-forward to the 20th century and you can play a variety of betting games in extravagant casinos. In the 21st century, you can now enjoy the casino experience in your own home on your computer, or even on the go using your mobile phone. Technology keeps marching on, however, we would like to highlight how the betting industry has changed for the better. Developments in technology have helped the betting industry significantly. 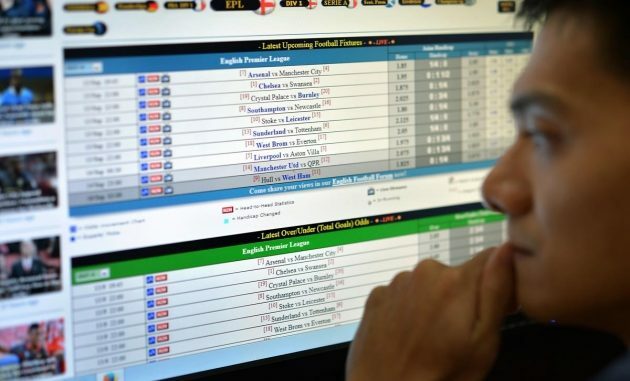 Online betting sites were prone to fraud and data breaches. To combat this, established betting sites for example Betpoint, now use encryption that is identical to what is employed by government departments; so before a hacker can get close to accessing the system, they will be detected. But it is not just online sites that have become more robust, most established land based casinos now use facial recognition technology, which scans the faces of people walking into the premises. This technology is incredibly clever; it can detect known criminals or anyone who has been banned from casino even if they have sunglasses on or a wig. This is great for the casino because it protects profit, and gamblers going to the casino know they are entering an area where known criminals have been turned around. Gambling was available very early on when the Internet was invented, because it is just random choice and simple calculations that a computer is easily able to generate. All different forms of gambling are now available online, such as sports betting, horse race betting, poker, slots, blackjack and roulette. Many slot games are branded, such as Superman and Batman slots that can be found on many websites, which widens the appeal of these websites. Originally online, gamblers would have a choice of playing a digital version of traditional table games. These were generated and had more of a house edge than actual gambling. Although the digital games are fast paced and very fun, online casinos also introduced live table games, where you can sign up and actually play against a dealer in a real casino and other players. An evolvement of betting on the Internet, gamblers can now bet using their mobile phones from just about any location possible. Developers have adapted the software that the games run on so they can be enjoyed on mobile phones. A good example is Bingo; it was traditionally in Bingo Halls, then moved to online and then mobile. This meant that Bingo reached a younger audience who embraced it. Other games, such as blackjack and roulette can also be enjoyed through apps and it feels like the full casino experience. This flexibility helps the industry immensely; if there’s a time you’re on the go and you fancy a quick spin on roulette, you can simple get out your phone, open the app and click Spin.